RANGOON — A spokesperson for President Thein Sein took to social media on Saturday to reject recommendations that Rohingya Muslims be granted a path to citizenship. “Our government’s stance is that we wholly reject use of the term ‘Rohingya’. 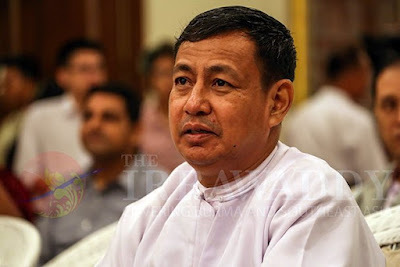 We will grant citizenship rights to Bengali people who have stayed within the boundary of Rakhine [Arakan] State based on the 1982 Citizenship Law,” read a Facebook post shared by Minister of Information Ye Htut, using the government’s preferred term to refer to the stateless minority. The minister’s comments were made in the wake of the United Nations’ Universal Periodic Review, a comprehensive human rights examination comprising recommendations from foreign governments, rights groups and civil society. The Burmese government rejected more than half of the review’s 281 recommendations, including all those related to restoring civil and political rights to the country’s stateless Rohingya Muslim minority, estimated to be 1.1 million people overwhelmingly concentrated in northern Arakan State.